A Holy Eucharist in commemoration of the Feast of Absalom Jones will be held at 11:00 a.m. on February 16, 2019 at St. Augustine’s Chapel, 1315 Oakwood Ave., Raleigh. 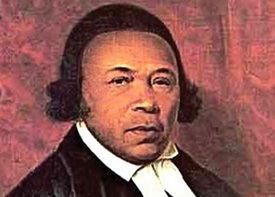 The Reverend Absalom Jones (1746 – 1818) was the first African-American priest in The Episcopal Church, ordained 1802. Click HERE for a flyer with further information.